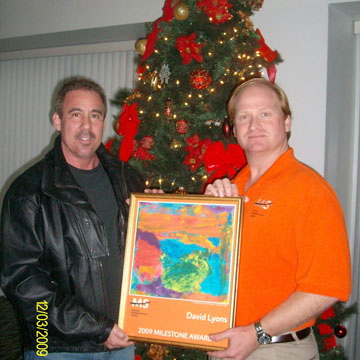 In 2006, David Lyons was hospitalized and diagnosed with Multiple Sclerosis at the age of 47. 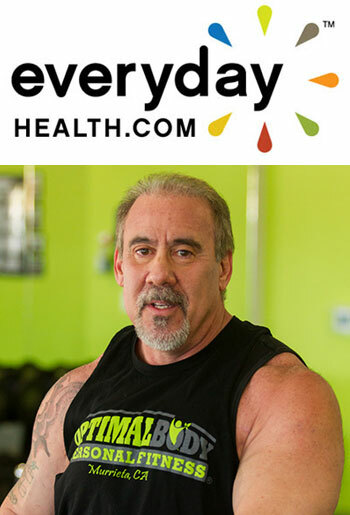 David, a former bodybuilder and health club owner, exercised regularly and lived a healthy lifestyle. He was devastated by the diagnosis and frustrated by the physical limitations of his condition. His initial MS attack left him with partial paralysis, tightness, pain and numbness in his extremities and back. These common symptoms of MS come and go without warning. The multiple lesions in David’s spinal cord make it difficult for him to coordinate movements and they affect his balance. The lesions in his brain cause cognitive problems affecting his concentration. And the lesion by his optic nerve, at times, causes vision impairment and blackness when seeing out of his left eye. David also lives in a constant state of fatigue caused by this disease attacking his nervous system. While in the hospital the doctors told David he would most likely leave in a wheelchair and would not return to his normal workout routine. They also warned him that MS is a disease that most often progressively worsens and to prepare for his limitations as he ages. So what does David do? Give up and sink into depression? Grab a walker to steady himself? Retreat to bed to conserve his strength? 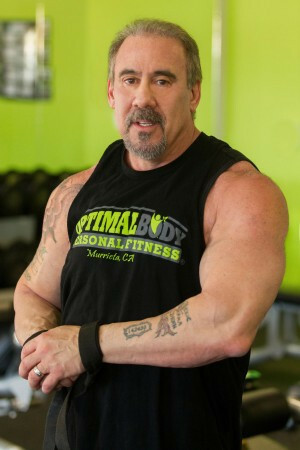 NO…AT THE AGE OF 50 DAVID LYONS DECIDED TO COMPETE IN A NPC BODYBUILDING COMPETITION! David knew he could not do this alone, so he assembled a team he calls The Challenge Team. Putting this team together was no easy task. David needed dedicated, talented experts on his side to make this challenge a reality. David is a courageous man who has rallied the support of many who know what he faces. David’s doctors all told him that his pursuit of a bodybuilding title was sheer madness, especially at 50 years old…but if anyone could do it – he could. David’s team is behind him 100% and they are pushing him all the way. David Lyons, founder of the MS Bodybuilding Challenge and co-founder of the MS Fitness Challenge (MSFC) with wife Kendra, has dedicated his life to helping people with MS understand and be educated on the importance of fitness in their lives. He is the recipient of the National MS Society Milestone Award and faith based author of David’s Goliath, a book on his journey to a bodybuilding stage with MS; a speaker/writer for the Fellowship of Christian Athletes; writer for Everyday Health, reaching 50 million visitors monthly; owner of the OPTIMALBODY fitness brand; and president/executive producer at Bishop-Lyons Entertainment, one of Hollywood’s top production companies; amongst other endeavors. 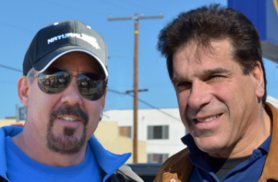 In 2013 David received the Health Advocate of the Year Award with Lou Ferrigno. 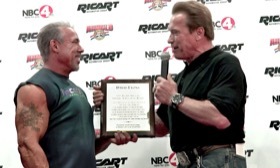 And in 2015, at almost 57 years old, he was the only person with MS to receive the Health Advocate Lifetime Achievement Award from Arnold Schwarzenegger as well as the Lifetime Fitness Inspiration Award in Feb 2016, next to bodybuilding legend Mike Quinn at the Global Bodybuilding Organization’s International Fitness Expo. In January, 2017 David received the Special Recognition Award from the National Fitness Hall of Fame and later in the year he was honored as a Founding Partner of the organization’s Institute for learning. David is considered the face of MS and fitness worldwide and his fitness book, Everyday Health & Fitness with Multiple Sclerosis was a #1 New Release on Amazon while his MS Fitness Training Specialist certification partnered with the National Federation of Professional Trainers (NFPT) educates trainers internationally on how to work with MS clients. David is the Senior Fitness Director of MS Workouts and is the Vice President of Adaptive Sports for the United Intercontinental Bodybuilding Fitness Federation (UIBFF). Lyons is a 2019 inductee in the National Fitness Hall of Fame for his work as a fitness educator. Lyons has appeared on Good Morning LA, FOX News Orlando and other TV and radio shows nationwide as well as in print media, and Bodybuilding.com has released a feature on him and the MSFC. It is obvious that David does not let MS define him or hinder him on his road to success and living a full life. David is a sought after motivational speaker dedicated to helping others by sharing the lessons gained from his life experience. Contact david@msfitnesschallenge.com for more information about booking David Lyons for your organization. Speaking Topics: Motivation, Inspiration, Overcoming Adversity, Physical Fitness, Entrepreneurship, Faith, Success, Peak Performance, Personal Growth, Spirituality, Military & Veteran Advocate, Multiple Sclerosis.